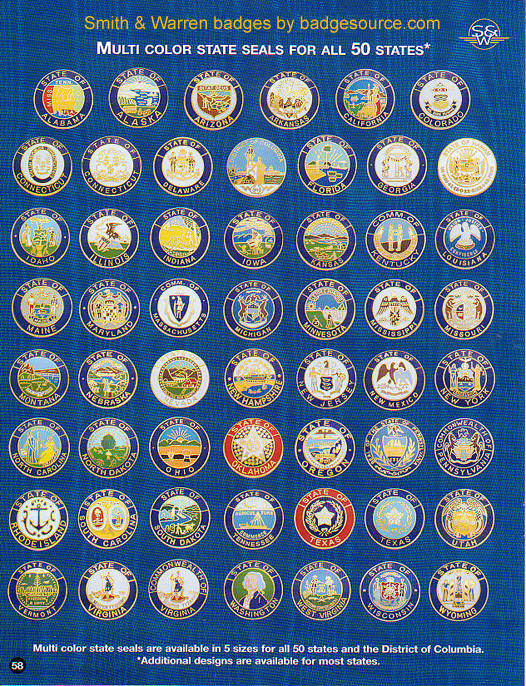 This page displays state seals available for badges. These seals can also be ordered as collar insignia or tie tacks. Sold singly. When ordering as collar insignia or tie tacks, the following price list applies. All are now available in Gunmetal finish at the price of gold finish.